Products of the domain : Château Rauzan-Ségla. In 1661, Pierre Desmezures de Rauzan acquired the Noble house in Gassies, and founded Domaine de Rauzan. He was at the time director of Château Margaux and later became the owner of Château Latour. The heiress, the Baronne de Ségla then adds her name to that of Rausan, which allows the property to become Rauzan-Ségla. In 1855, the efforts of several generations were thus rewarded: Château Rauzan-Ségla is at the head of the second classified grands crus. In 1994, Chanel bought the property, which now owns 52 hectares of vines. A new strategic turning point comes with the purchase of plots west of the Margaux appellation. 4 hectares planted in 1998 and cultivated according to the principles of organic farming since then are integrated into the field. The grape harvest in Rauzan-Ségla is carried out on a parcel by plot basis in small stainless steel tanks in order to increase the aromatic purity and to obtain the most complex wines. 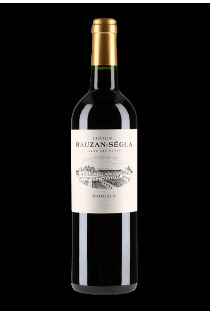 The main grape varieties of Château Rauzan-Ségla are Cabernet Sauvignon and Merlot. Margaux - 2016 - Château Rauzan-Ségla. Margaux Grand Cru Classé - 2008 - Château Rauzan-Ségla. 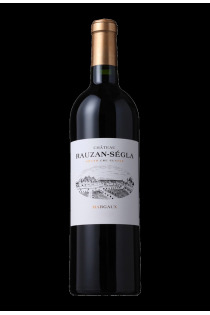 Margaux Grand Cru Classé - 2014 - Château Rauzan-Ségla.